Radiometer UV ERY (Eeff) - A Hand Held Digital UV ERY (Eeff) Radiometer. SOLARMETER MODEL 7.5 - UV UV ERY (Eeff). Check EU Tanning Regulation 0.3W/m² Limit. 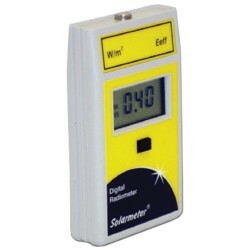 SOLARMETER® 7.5 W/m² There is 1 product.